We’re committed to providing our students with a world-class online law degree at a fraction of the cost of traditional law schools. Concord Law School at Purdue Global delivers intellectually rigorous programs that prepare students to effectively advocate, make a positive impact on society, and transform their careers. Our online curriculum allows them the opportunity to attend law school while balancing their responsibilities at home, at work, or in the military. Earn your doctorate in law without the regulatory hurdles of a Juris Doctor degree. Build your legal expertise through concentrations in business, education, health, and technology. We deliver a rigorous, interactive, and relevant legal education completely within a distance-learning environment. We are the nation's first fully online law school, now part of the respected Purdue University system. Overview of Concord Law School at Purdue University Global, the first fully online law school in the nation. 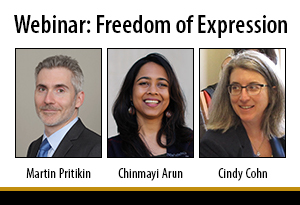 Join us Wednesday, May 1, 2019, for our Distinguished Speaker Series on “Freedom of Expression Online,” featuring Chinmaya Arun, fellow of the Berkman Klein Center for Internet & Society at Harvard University; Cindy Cohen, executive director of the Electronic Frontier Foundation; and Martin Pritikin, Concord Law School dean. A Concord Law School project team won the inaugural Wolters Kluwer Leading Edge Prize for Educational Innovation for its work improving access to justice for low-income clients. Concord offers 3 start dates per year. Each term is 24 weeks. Concord Law School is celebrating 20 years since it opened its virtual doors in 1998. You have these options of collaborating with instructors through this very structured intuitive platform that Concord has put together. You have to go through real curriculum, real professors, work on your assignments thoroughly, and they test you at every level on the curriculum. 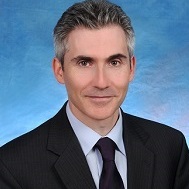 Having my law degree helps me with credibility among lawyers who are typically the people that hire mediators. I feel very fortunate that Concord has given me the wherewithal to give back to people. And I can actually make a difference and use all the things—all the fortunate circumstances I have—to better other people's lives. *Concord Law School is part of Purdue University Global, which is regionally accredited. Concord Law School is registered as a Distance Learning Law School with the Committee of Bar Examiners of the State Bar of California. Registration with the Committee permits Concord JD graduates, who meet the regulatory requirements, to apply for admission to the State Bar of California. Study at, or graduation from, Concord does not qualify graduates to take the bar examination or satisfy the requirements for admission to practice law in jurisdictions other than California upon graduation. A student seeking admission to practice law in a jurisdiction other than California may need additional experience/education to qualify for that state's bar. Students should contact the admitting authority in that jurisdiction for information regarding the legal education requirement for admission to the practice of law prior to enrollment at Concord. Concord is not on the list of schools approved by the American Bar Association. The ABA Standards for the Approval of Law Schools currently do not allow for JD programs that are delivered fully online. †Based on a comparison of the costs of a legal education at ABA-accredited schools to the costs of earning a JD degree at Concord Law School in the 2017–2018 academic year. Calculation uses average tuition for ABA nonresident full-time students for a 3-year period. Concord Law School’s Juris Doctor is a part-time 4-year program, which equates to 3 years of full-time study. Source: American Bar Association, www.abarequireddisclosures.org.